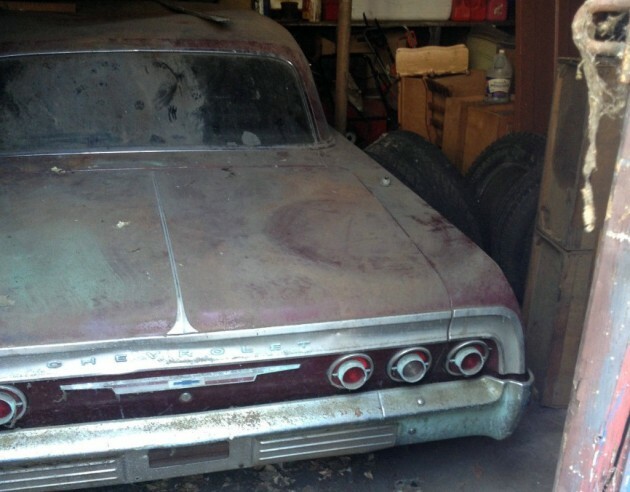 There’s not much to see in this listing for a 1964 Chevy Impala here on eBay, so you’ll have to use your imagination to imagine the potential it holds. Although the price of entry is approaching reasonable – $6,500 or best offer – the unknowns should drive the asking price a bit lower, in my opinion. 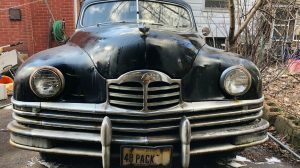 The biggest concern is rust, since the seller admits there is some and the car resides in Rochester, New York, not exactly a climate known for rust-free vehicles. Still, seeing those classic Impala taillights peering out from a dark garage will always get my attention. 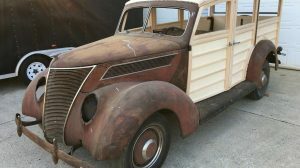 Since it’s been off the road for near 40 years, there will be plenty of work to be done, but perhaps the rust has been kept to a minimum if it has been socked away for so many years. What do you think is a fair price for this Impala? Apparently it sold….so someone was keen! Personally, I don’t get how a seller can’t be bothered getting a car out into the light and giving it a good clean up. 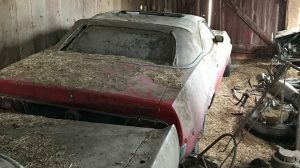 Is the “barn find” cliche really worth that much? We’ll see it again all cleaned up wit a buy it now price of 15K. see all the white specs in the interior pics? thats mold.